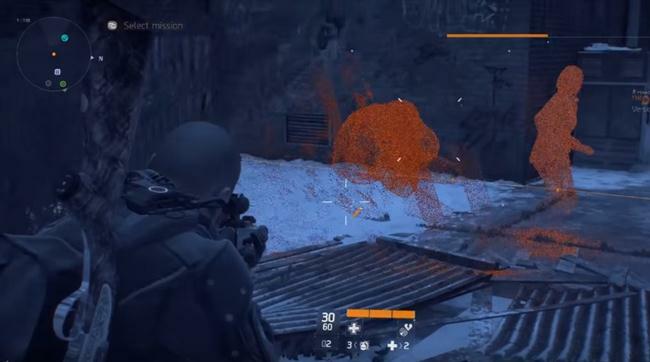 With such a huge open world it comes as no surprise that there are a number of Easter Eggs in The Division. 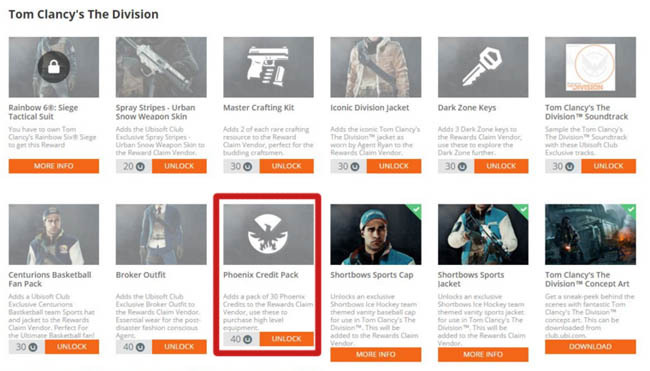 Players can find references to popular movies in addition to cosmetics from past Tom Clancy games. In this post I'll be covering some of the best Easter Eggs in the game including map locations to help you find them. 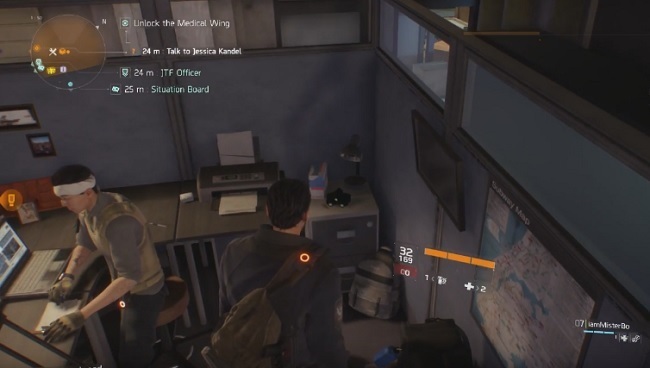 A direct reference to the Tom Clancy Splinter Cell series, these night vision goggles can be found inside the Base of Operations at the start of the game. Although you can't pick them up, fans will spot the reference straight away. Enter the Base of Operations, head through the blue tunnel to the open area. Walk straight and slightly to the right as you approach the desk where the man with a head bandage is standing. Check the corner of the desk for the goggles. 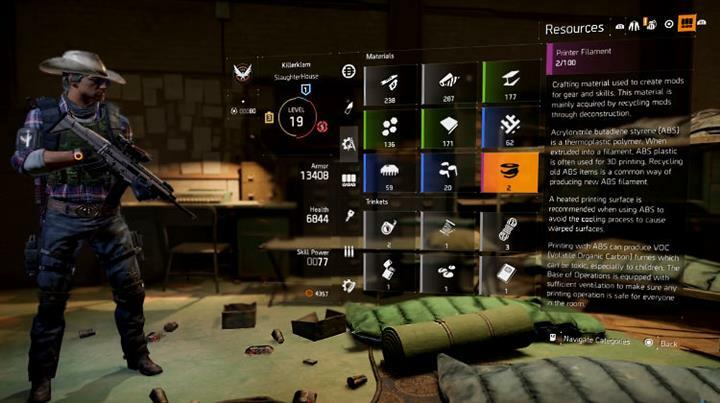 Originally found during the Beta, this Easter Egg is a reference to the Shaun of the Dead movie featuring Simon Pegg. As you explore the map you'll come across beacons called Echo's which are like flashbacks to past events. ECHO stands for Evidence Correlation Holographic Overlay. One particular ECHO references the comical fence scene where Simon Pegg attempts to jump over a garden fence to escape the zombie horde. Locate the intersection of 9th Avenue and W 23rd Street on the map, then find the park sandwiched between W 23rd Street and W 22nd Street. Note the hot dog stand and Chicken Place restaurant as your points of interest. Venture through the park and head towards the American flag on the wall. Follow the alley heading right, until it opens out and you see the broken fence. Activate the ECHO and the character name Shaun Packham, Professional Slacker will appear. An empty "Radical" pizza box and a pair of nunchucks are giveaway signs that the TMNT's have been out in Manhattan. This Easter Egg is again a cosmetic one but it's easy to find. Head to Pennsylvania Plaza and locate the intersection of W 31st Street and 7th Avenue. Grid co-ordinates are: 928, 1510. Look for the Kerman Coffee shop and the nunchucks are just on the floor nearby.